SR training » Engels voor de Human Resource Manager. Tips! De Human Resource Manager is veel meer dan wat we voorheen de ‘chef van P&O’ noemde. Een veel omvattende taak met grote verantwoordelijkheden. Waar heeft de Human Resource Manager zoal mee te maken en wat zijn de taken van zijn afdeling. Writing job specifications (functie specificaties ) and designing job adverts. (ontwerpen van functie/baan advertenties). Deciding which online job sites, social media sites and newspapers to advertise jobs in. Organising and arranging interviews for candidates. Conducting (uitvoeren van) interview with job applicants, asking relevant questions. Conducting introduction programs for new employees. Dealing with any promotions, transfers and pay rises. Developing (ontwerpen) & improving (verbeteren) existing HR procedures. Assisting in the set up and maintenance (onderhoud) of staff databases. Writing the terms of employment & contracts for new employees. Develop HR planning strategies with line managers. Organise training of (new) staff. The benefits are a form of compensation paid by employers to employees over and above the amount of pay specified as a base salary or hourly rate of pay. Therfore, benefits are a portion of a total compensation package for employees. The behaviour of the employee which is the subject of measurement and appraisal in terms of whether or not the behaviours shown by an employee are those identified by job analysis/competency profiling as those contributing to team and/or organisational success. A plan in which an employer offers employees a variety of different benefits. The employee is able to choose which benefits would fit their individual needs. Examples of benefits offered in the cafeteria include group-term insurance, extra days off, arranging of working hours, working from home. An agreement restricting an employee from disclosing confidential or proprietary information. The skills, knowledge and abilities which employees must possess in order to successfully perform job functions which are essential to business operations. A procedure carried out in the workplace in the event of an employee committing some act contrary to terms of the employment agreement. The inability to perform all or part of one’s occupational duties because of an accident or illness. This can be due to a sickness, injury or mental condition and does not necessarily have to have been caused by the job itself. Tests used to help employers in pre-hire situations to select candidates best suited for a job. These tests can sometimes be taken via the Internet and can provide employees with effective training, assist managers in becoming more effective, and promote people into appropriate positions. Types of assessments include those to determine personality, attitude and skills. Developing, maintaining, and improving the relationship between employer and employee by effectively and proactively communicating with employees, processing grievances/disputes, etc. 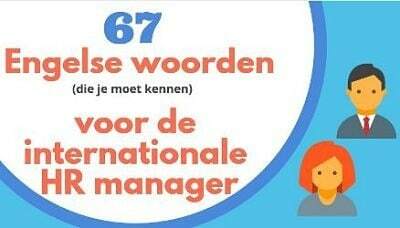 67 Engelse woorden die je als internationaal HR manager moet kennen. Ga je zelf solliciteren? 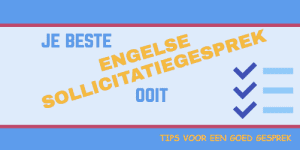 Tips voor je beste sollicitatiegesprek ooit. Practices and policies designed to create a work environment that makes employees want to stay with the organization, thus reducing turnover. The final meeting between management, usually someone in the HR department, and an employee leaving the company. Schedules that allow employees to structure their work hours around their personal responsibilities. Examples include flextime, job sharing, telecommuting and a compressed workweek. Working from home, has become a popular flexible work concept in recent years. An action so serious that it calls for the immediate dismissal of an employee. Examples include fighting, drunkenness, harassment of others and theft. Asking the candidate to provide specific examples of when they have demonstrated certain behaviours or skills as a means of predicting future behaviour and performance. A written document that describes the legal relationship between an employer and employee. A comparison of one job with other jobs in a company for the purpose of assessing fair compensation. An informal training process between a more experienced person and a junior employee. A method of assessing job requirements and skills by observing the employee at work, followed by an interview with the employee for further assessment and insight. The process of maintaining or improving employee job performance through the use of performance assessment tools, coaching and counselling. The ultimate goal is to better meet organizational objectives. An organization-wide plan to manage employees and their performance wherein goals are set for employees, departments and the organisation as a whole. Eliminating jobs or job categories as they become unnecessary to the functioning of an organization. A method of finding, evaluating, and establishing a working relationship with future employees. They may be current employees or future employees. An employee is sent home for a period of time, usually without pay, as a disciplinary measure. Workers who organize a united group, usually related to the kind of work they do, to collectively bargain for better work conditions, pay or benefit increases, etc. The assessment of the current workforce in order to predict future needs. This can consist of both demand planning and supply planning. Many e-recruitment software providers include modules for workforce planning. Hier vind je Engelstalige templates die je zelf kunt aanpassen. Van aaname brief, tot ontslagbrief, van afwezigheidsdocument tot veiligheidsinstructies. Goed om allerlei zaken door te nemen met betrekking tot HR. Dat kan met meerdere HR medewerkers door onze workshop te volgen in jullie bedrijf. Lees de informatie over de workshop voor Human Resource Managers en medewerkers. Misschien ken je iemand die je kunt helpen met dit artikel. Deel het dan hieronder. Bedankt.